a river ran through it… – RV Cheaper! January 31, 2016 February 17, 2016 RV Cheaper! I’ve been dreading each trip to the dump station over the last year or so. Each time I pull the cap to hook up the long flex hose, about a 1/2 quart of tinted water greeted me. To add insult to injury, one handle is broken and both have become hard to pull and close! As much as I dreaded trips to the dump station, replacing the valves was even lower on my list! 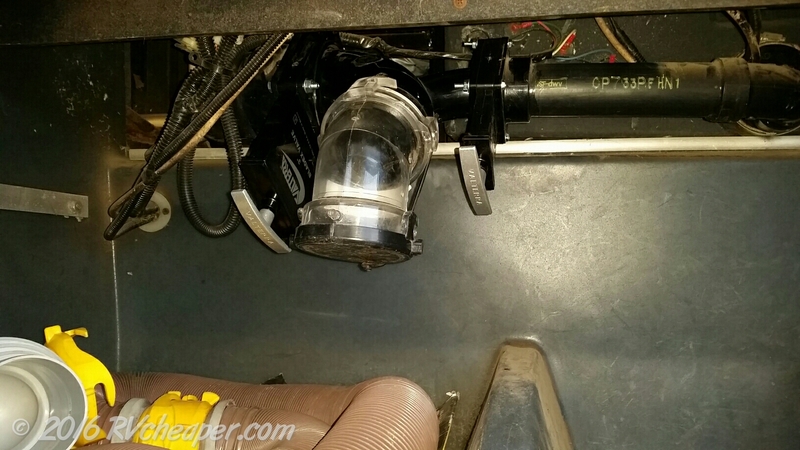 Even before our valves made it to my least wanted list, I read Nina vs the RV Tank Valves on her Wheeling It blog. As encouraging as she was, it still took me until this weekend to build up enough motivation to go after it. It turns out it was every bit as easy as she said it is, far less smell and yuck than I expected. In addition to the pre-flush she recommended, I also made it a point to park the dark side of the RV, 6″ higher than level so that eliminated the drip-drip I worried about. 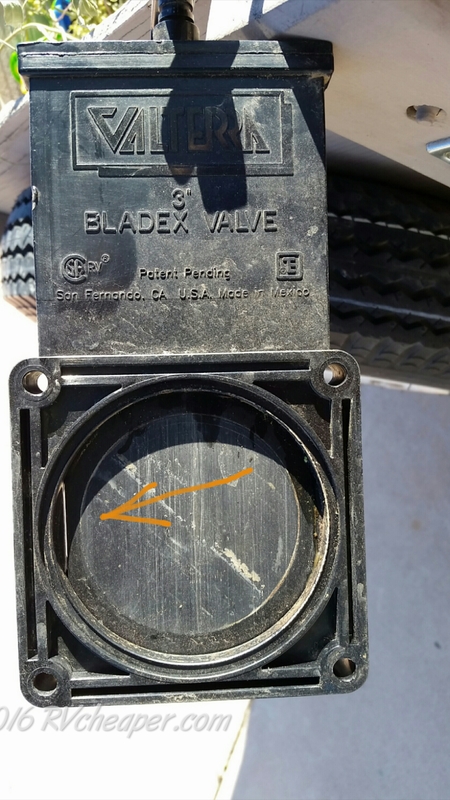 I’ve never owned an RV with holding tanks before, so I had no clue what I was missing out on with my crappy valves. Handles on the new valves slide in and out so smooth and so easy, I know now my worst enemy was procrastination! Thanks for the motivation and the Nina link on her dealings with valves, Bernie. I have also been in the ‘procrastination’ column on this one. Our valves also have cables, which are a big part of the problem.